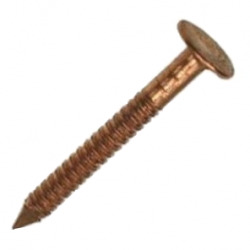 A copper nail is ideal for roofing applications and whilst Galvanised Nails can be used instead, Copper is generally the best practice nail to use in roofing applications. 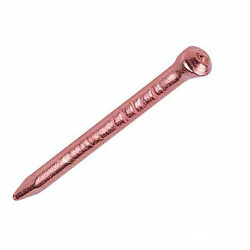 Using Copper Nails in areas of high pollution and high humidity means less rust and and less corrosion over time. For areas of high winds copper annular shak nails are the prefered choice. These nails provide much high pull out loads and tests have shown they can be as much as 3 times harder to pull out as smooth shank nails. 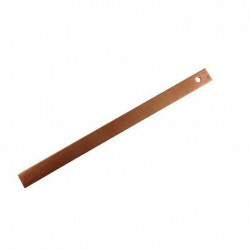 For lead flashings the most common size supplied by tradefixdirect.com is 25 x 3.35mm copper annular ring shank nails. 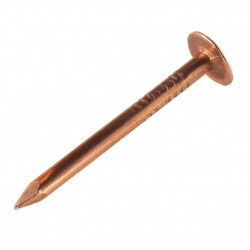 Our Copper Nails are used by trusted roofers, builders and DIY enthusiasts throughout the UK as we have one of the most extensive ranges online. There are only 794 of this item in stock. There are only 272 of this item in stock. There are only 698 of this item in stock.